MBT Shoes are Back at Lucky Feet Shoes! We are excited to announce that MBT Shoes are back at Lucky Feet Shoes! 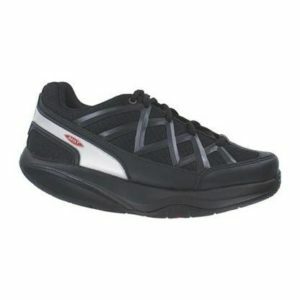 Customers asked for the shoes so we brought back your favorite MBT shoes! MBT shoes first made their appearance in 1998. They were founded on the principles of the Masai, a semi-nomadic tribe from East Africa. Joint and back pain are mostly unknown among them. The Masai enjoy stable health and remarkable athletic ability. The simple fact that the Masai walk barefoot on soft, natural ground means that they have to balance their bodies with each and every step. This gave birth to MBT. Masai Barefoot Technology” adopted in MBT shoes, would make the natural instability of soft surfaces accessible to people forced to move on hard ground. Those same principles hold true today as they did in 1998. MBT shoes are back at Lucky Feet Shoes. Shoes and sandals for both men and women are now in stock. You can see MBT shoes at www.luckyfeetshoes.com or you can drop by one of our convenient Southern California locations.